OUT OF TIME NO PREP SERIES THIS WEEKEND! 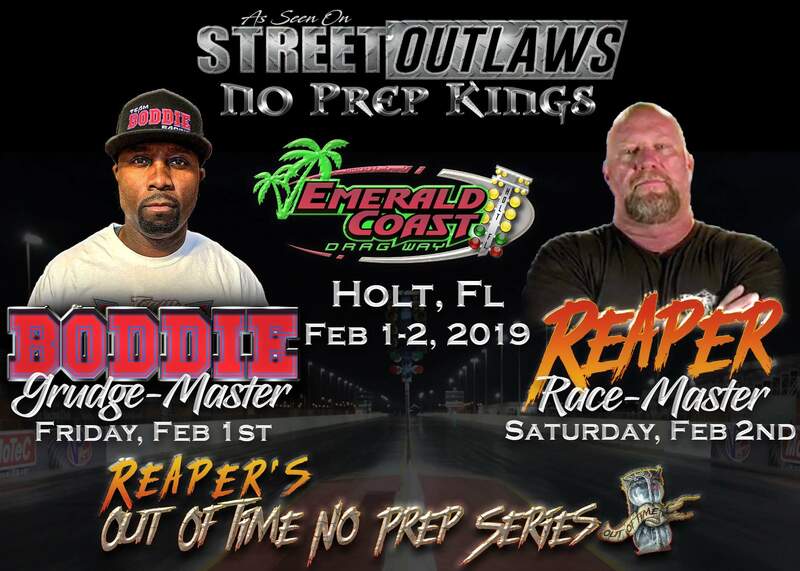 Join us this weekend with Reaper’s first race of the first season of his new series “OUT OF TIME NO PREP SERIES”! The big rigs are already rolling into town, testing is planned for both Wednesday & Thursday, Friday night is Boddie’s GRUDGE night and Saturday is Reaper’s big race day!